Shish taouk, sometimes spelled shish tawook, is a chicken dish that originated in Lebanon but is now available throughout other regions, including the United States. Although chicken is a lean meat, shish taouk is relatively high in fat because it includes ingredients such as olive oil and yogurt. The dish provides a range of diverse flavors thanks to spices such as cinnamon, allspice, oregano, garlic and parsley. Shish taouk is a relatively low-calorie dish, as a 100-gram serving of this food contains just 127 calories. That amount comprises about 6 percent of the 2,000 calories suggested as a suitable daily intake for the average adult. If you want to burn the calories in 100 grams of shish taouk, you can do so through 14 minutes of high-impact aerobics or 13 minutes of playing basketball. These calculations assume a weight of 160 pounds; heavier people will burn calories at a faster rate. 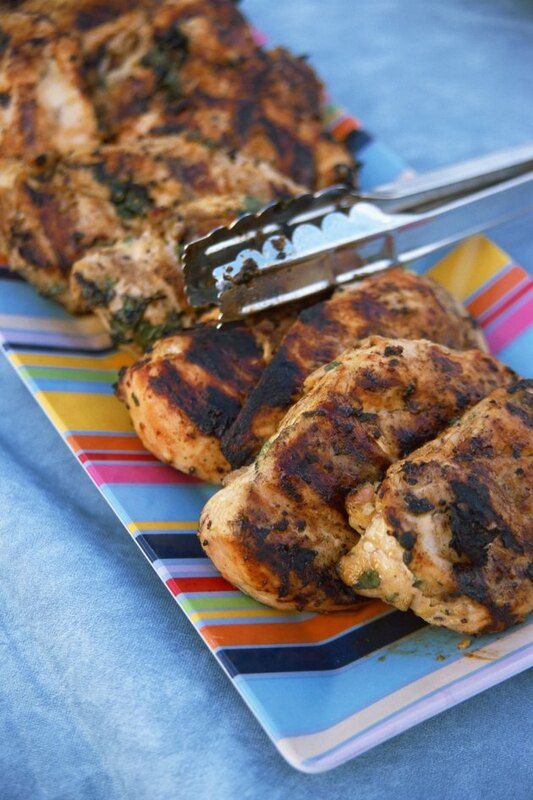 As with other chicken-based dishes, shish taouk is high in protein. Each 100-gram serving of the food provides 14 grams of protein. Eating protein provides your body with amino acids, structural components of tissues such as muscle. The Institute of Medicine suggests that protein should constitute between 10 and 35 percent of your daily calories. While shish taouk is relatively low in calories, it is rich in fat. Each 100-gram serving contains 7 grams of fat. While fat is calorie-dense, it is essential for proper health and can help provide energy for activity. Shish taouk is a low-carbohydrate dish, as a 100-gram serving contains 2 grams of this nutrient. Thus, this dish may be an appropriate dish for low-carbohydrate dieting. Carbohydrates are your body's primary fuel source, so you may wish to eat shish taouk with a carbohydrate-rich food such as rice, pasta or potatoes.